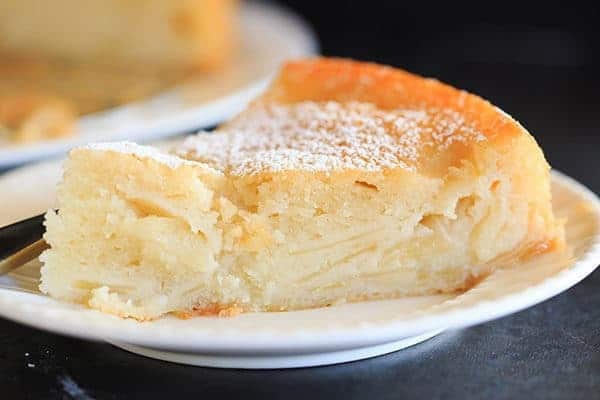 This French Apple Cake is packed with apples and has a dense, creamy base with a cake-like top layer. When I walk into the grocery store in the middle of September and see bushels upon bushels of every type of apple you can imagine, I’m inspired to go through my huge stack of recipes and make every single one that includes apples. So far this fall, I’ve made apple cupcakes with cinnamon-cream cheese frosting, apple turnovers, and my favorite Dutch apple pie. I’ve had this French apple cake bookmarked for about two years now and kept putting it off… I hadn’t actually read the entire recipe, but assumed it would be a little fussy and I’ve been all about simplicity this fall season. Once I picked it up and read through it, I was elated to see that the recipe was actually really simple to put together and didn’t require any special equipment. 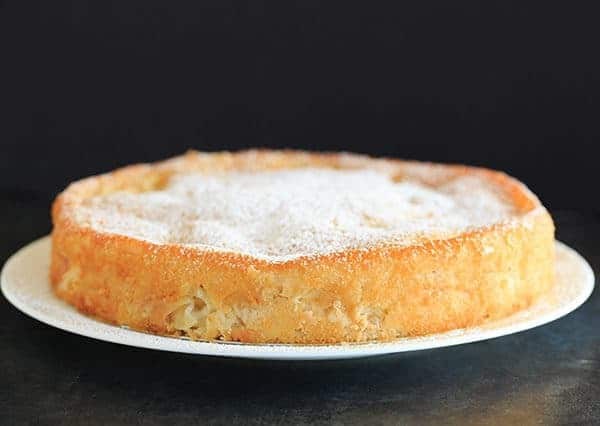 This French apple cake has a dual texture going on – the bottom of the cake is packed with apples and has a custard-type texture, while the top part has a traditional cake texture. It’s not overly sweet, but it’s bursting with apples and the sprinkling of powdered sugar on top is the perfect accompaniment. 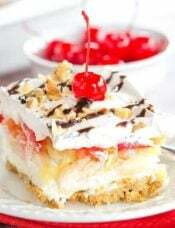 I served this for dessert a couple of Sundays ago, and some folks ate it plain, some topped it with vanilla ice cream and some had it with whipped cream. I enjoyed it plain, as I wanted to really have the apple flavor and both of the cake textures shine through. 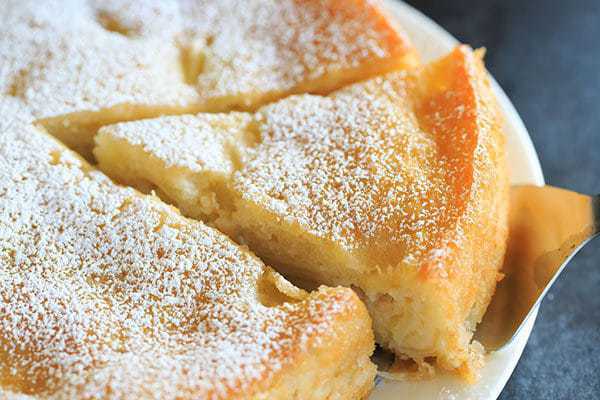 If you’ve been craving apple recipes like I have, or if you’ve gone apple picking and are drowning in bushels of apples, this French apple cake is an incredibly easy recipe that’s full of flavor and impressive enough for company. Adjust oven rack to lower-middle position and preheat oven to 325 degrees F. Spray a 9-inch springform pan with non-stick cooking spray. 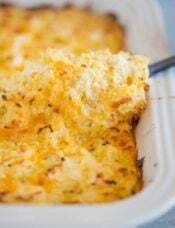 Place the prepared pan on a rimmed baking sheet lined with aluminum foil. Place the apple slices into pie plate, cover with an inverted plate, and microwave until the apples are pliable and slightly translucent, about 3 minutes. Toss the apple slices with Calvados and lemon juice and let cool for 15 minutes. 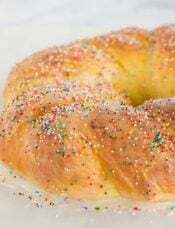 In a medium bowl, whisk together 1 cup of the flour, 1 cup of the granulated sugar, baking powder, and salt. 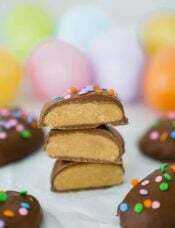 In a large bowl, whisk together the whole egg, oil, milk, and vanilla extract until smooth. Add the dry ingredients and whisk until just combined. Transfer 1 cup of the batter to a separate small bowl and set aside. Add the egg yolks to the remaining batter in the large bowl and whisk to combine. Using a rubber spatula, gently fold in the cooled apples. Transfer the batter to the prepared pan; using an offset spatula, spread the batter evenly to the pan edges, gently pressing on the apples to create even, compact layer, and smooth surface. Whisk the remaining 2 tablespoons of flour into the reserved batter. Pour over the batter in the pan and spread evenly to the pan edges and smooth the surface. 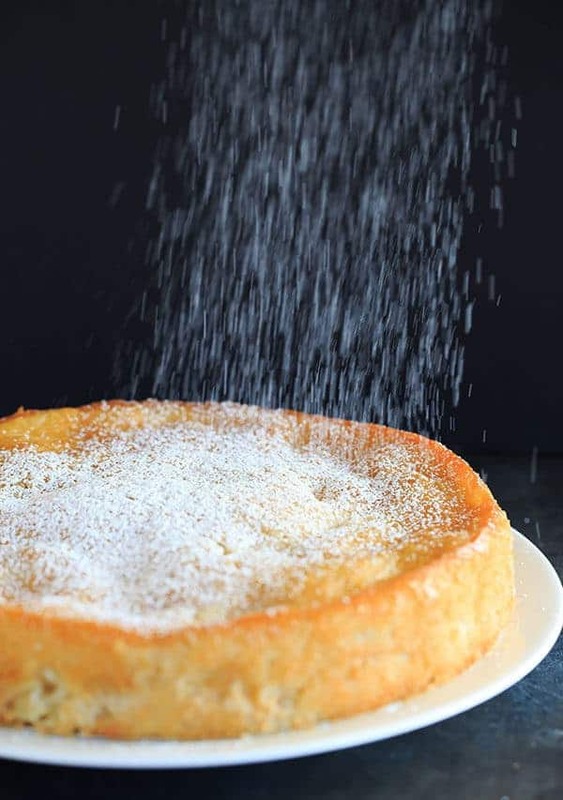 Sprinkle the remaining 1 tablespoon granulated sugar evenly over the cake. Bake until the center of the cake is set, a toothpick inserted in the center comes out clean and the top is golden brown, about 1 hour 15 minutes. Transfer the pan to a wire rack and cool for 5 minutes. Run a paring knife around the sides of the pan and cool completely, 2 to 3 hours. Dust lightly with powdered sugar before serving. Love,love this cake. Will definitely add to my favorites. Delicious and easy. Oh my goodness, this is the best apple cake I have ever eaten! Koodos to you. Not only is it light, but it is simply great. I made the recipe as written and it was perfect! My cake came out looking exactly like your photos. I took mine out of the oven after 55 minutes or so because it looked done, but I typically have to adjust cooking times for my oven. Wonderful recipe. 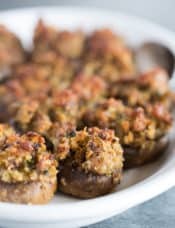 I’ll be making this recipe again for thanksgiving! I made this yesterday. It is quite tasty, but mine was also swimming in oil, as many other have also noted. I will try making it again and cut back on the oil. I see one comment where someone accidentally left all the oil out of it so I’m confident that reducing oil won’t result in a dry cake…I wonder how/why some people don’t experience the greasy cake result if following the same recipe? I baked it yesterday, follow exactly every step and it came out perfect as the picture. My guest love it! and myself I love it more than the apple pie. I’m going to make it for thanks giving from now on instead. It’s very light, not too sweet and the apple were soft and flavorful. This cake is delicious. 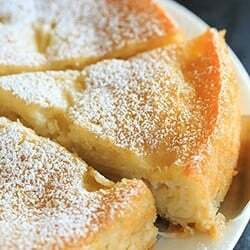 One of my favorite apple cake recipes! Sweet baby Jesus this recipe is divine! I used brandy since that is what I had, and added a little nutmeg and cardamom. I am so impressed! Will definitely make again, its a keeper! Have you tried freezing it yet? Hi Katie, No I have never tried to freeze this cake. I’m going to make a few of these for a Salvation Army bake sale fund raiser. I’ll let you know how they freeze since I bake for three weeks before the event. I have made this cake twice. It has good taste but there is always a poodle of oil at the bottom of the sheet pan. If you transfer the springform pan to cooling rack then I have 1-3 tablespoons of oil.. Do not know how to solve the excess oil that leaks out of the form. 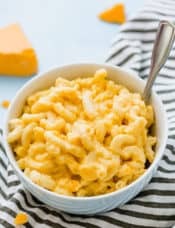 I have made this recipe 3 times now and changed some things the last time. The first two times I used the oil, baking sugar, and opened baking powder. The result was tasty but too oily and flat. This week I baked it with melted just to melting butter, regular granulated sugar and fresh baking powder. Texture and flavor as well as appearance all improved greatly. This is a favorite of my Friday night crowd! Crowd pleaser! 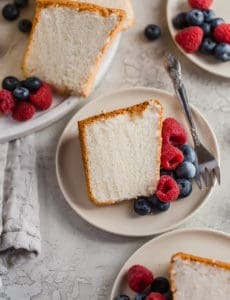 I am going to try this recipe and for what i have seen and heard i will not have to moan all night of how bad the cake recipe was but i will be happy and look forword to baking another cake the next day. I was thinking that you could just put apples on top of the batter instead or put half the batter in the baking pan and put half the apples on top and the rest of the batter on top with the rest of the apples but you might have to cut more apples to do that. 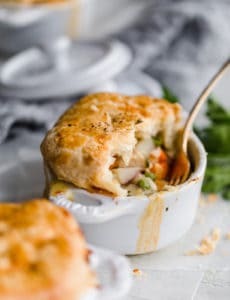 If you have any other ideas of how to make the recipe a bit different please comment so that i can try it out or if you have any thought about my ideas. Thank you for this amazing recipe! It came out perfectly. A new favorite in our household! Made your gorgeous French apple cake. Cake out beautifully and tasted delicious. My sides came out darker than yours but I used butter rather than spray and cook so not sure if that made a difference? Thank you for this recipe! Just a question: Should I store the cake in the fridge or at room temperature? I’m so glad you enjoyed the cake! I stored this at room temperature. I thing is very easy to do , and is the best apple pie . Really enjoyed the results of this recipe! It’s quite yummy. I didn’t have the apple brandy and substituted apple cider vinegar, which appears to have worked fine. My springform pan leaked a bit, but the resulting crusty leftover on the underlying foil covered pan was actually quite good! I’ll definitely make this again. I chose this because, while I wanted to make something special for Christmas, I didn’t feel like exerting a ton of energy on it. This was a win/win! It was very easy to throw together and it looked very fancy. It tasted incredible, too. It was a big hit! I’ll be making this again, that’s for sure. Thanks! Excellent recipe. Came out exactly like the picture, very first time I tried it. Tasted delicious — not too sweet, not gloppy at all… great texture and taste. I was worried it wouldn’t be sweet enough so I accompanied it with caramel sauce on the slide. People added a little bit on their plates to but it really didn’t need anything extra. Nice cake to bring to a dinner party, as I did! This recipe calls for way too much oil. I would try with 1/2 c. oil. What’s is a rimmed baking sheet please? Is the cake pan lined with the aluminium foil? Hi Lisa, A rimmed baking sheet is a baking sheet with a lip around the edge, so liquid wouldn’t spill off of it. A standard half sheet pan or jelly roll pan is rimmed. And yes, you should line the rimmed pan with foil. I made this today and by mistake left out the oil completely. I realized it when it had been in the oven for five minutes and there was nothing I could do. I went online and googled “I forgot to put the oil in the cake batter” and was reassured to find lots of discussions and lots of comments from bakers who said they never put oil in their cake batters. So I just baked it for the recommended time and hoped for the best. It turned out FANTASTIC! I told my friend about the mistake and after tasting it she said it didn’t need any oil. I guess with two pounds of apples, a cup of whole milk and three egg yolks, it had enough moisture to bind it together. And think of the calories I saved! 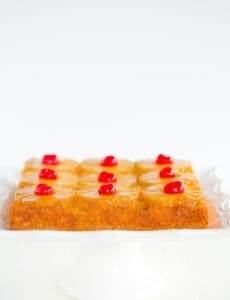 I just wanted you to know that the oil may indeed be optional because the apples and custard made it super moist and tasty. I will definitely make this again and leave out the oil.